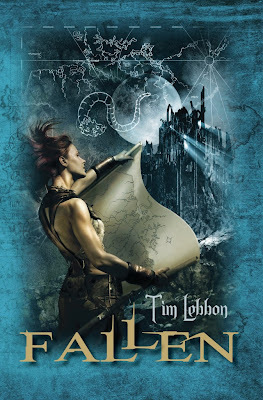 I'm very happy to introduce our first author guest post here at Mad Hatter's as award-winning author Tim Lebbon visits us on his Blog Tour as his 8th stop to promote the new paperback edition of FALLEN. The previous stop was at Graeme's where you can check out a great interview with Tim. If you've been following Tim's Blog Tour here is the link to the next installment of the extract from FALLEN to get a taste of Lebbon's Norella: EXCERPT. Start back at the beginning of the tour to get caught up to the samples. You can also read my review of Lebbon's (with Christopher Golden) The Map of Moments here. Join Tim on June 1st for his final stop on the blog tour at the SFX Magazine Blog where they'll have an exclusive extract from The Island. To order a copy of the newly release paperback of FALLEN visit here. Awesome post! I'd love to have lunch with Tim one day. I'm dropping in to let you know I've posted about this over at Win a Book. Hope it brings Tim some new fans. Great posting. I read Dusk and this makes me want to get back into Lebbon's work.